In this study, hydroxy gas (HHO) was produced by the electrolysis process of different electrolytes (KOH(aq), NaOH(aq), NaCl(aq)) with various electrode designs in a leak proof plexiglass reactor (hydrogen generator). Hydroxy gas was used as a supplementary fuel in a four cylinder, four stroke, compression ignition (CI) engine without any modification and without need for storage tanks. Its effects on exhaust emissions and engine performance characteristics were investigated. 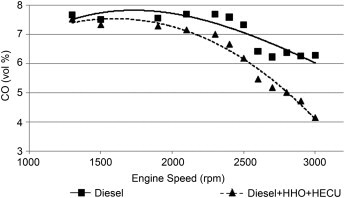 Experiments showed that constant HHO flow rate at low engine speeds (under the critical speed of 1750 rpm for this experimental study), turned advantages of HHO system into disadvantages for engine torque, carbon monoxide (CO), hydrocarbon (HC) emissions and specific fuel consumption (SFC). 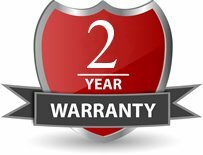 Investigations demonstrated that HHO flow rate had to be diminished in relation to engine speed below 1750 rpm due to the long opening time of intake manifolds at low speeds. This caused excessive volume occupation of hydroxy in cylinders which prevented correct air to be taken into the combustion chambers and consequently, decreased volumetric efficiency was inevitable. 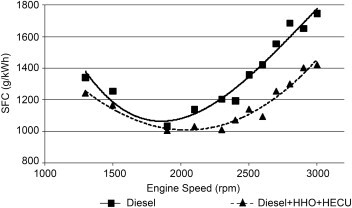 Decreased volumetric efficiency influenced combustion efficiency which had negative effects on engine torque and exhaust emissions. 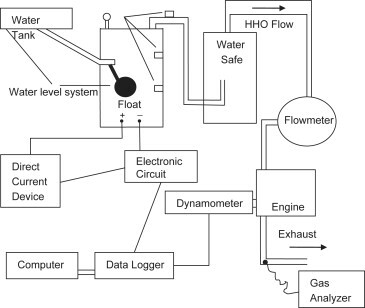 Therefore, a hydroxy electronic control unit (HECU) was designed and manufactured to decrease HHO flow rate by decreasing voltage and current automatically by programming the data logger to compensate disadvantages of HHO gas on SFC, engine torque and exhaust emissions under engine speed of 1750 rpm. The flow rate of HHO gas was measured by using various amounts of KOH, NaOH, NaCl (catalysts). These catalysts were added into the water to diminish hydrogen and oxygen bonds and NaOH was specified as the most appropriate catalyst. It was observed that if the molality of NaOH in solution exceeded 1% by mass, electrical current supplied from the battery increased dramatically due to the too much reduction of electrical resistance. HHO system addition to the engine without any modification resulted in increasing engine torque output by an average of 19.1%, reducing CO emissions by an average of 13.5%, HC emissions by an average of 5% and SFC by an average of 14%. Fig. 1. 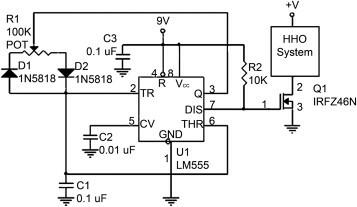 Schematic diagram of the hydroxy electronic control unit (HECU). Fig. 2. General view of the experimental set-up. Fig. 3. Variation of engine torque with engine speed. Fig. 4. 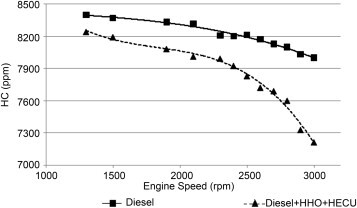 Variation of specific fuel consumption (SFC) with engine speed. Fig. 5. Variation of hydrocarbon (HC) emissions with engine speed. Fig. 6. Variation of carbon monoxide (CO) emissions with engine speed. 1 . 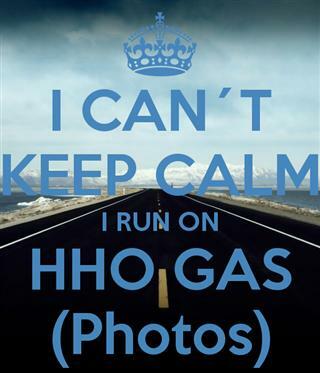 What are the fuel savings and advantages using our Hydrogen Technology? Most users have savings from 20 to 30% in fuel consumption. 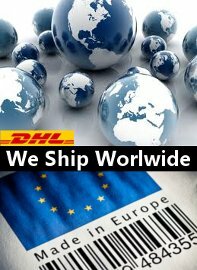 There are cases of higher results with the HEC Chip in electronic fuel injected cars. Hydrogen reduces fuel consumption by carbom based on fuel to burn more completely and efficiently. Hydrogen also helps to clean the carbon deposits inside the engine. Hydrogen exhaust emissions are pure water. So, you save fuel, save money and save the environment.